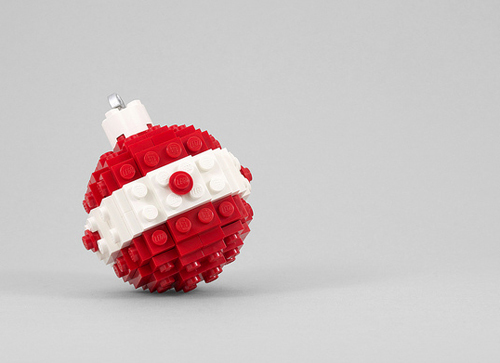 Designer and photographer Chris McVeigh creates objects out of Legos and shares instructions for how to build your own Lego Christmas ornaments. See all of his build-it-yourself projects here, including holiday bulbs, a turkey, and Santa's sleigh. Or check out the Star Wars ornaments, along with a piece of cake and a hamburger. Find the parts lists and instructions for the Christmas items right here. Awesome! Thank you for sharing this! Every time I see what my son builds with his lego I'm impressed. 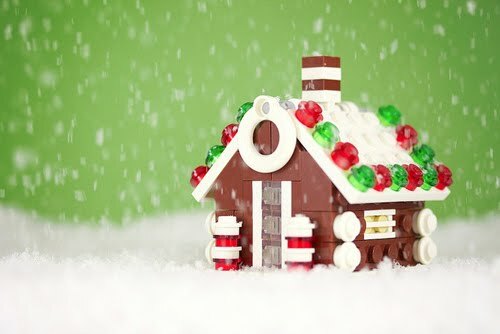 I started to love Lego, too... I'll go and check this out right now! P.S. Your mum is so lovely! Very cool! And since today I feel like keeping my children by my side forever and ever, this will help keep us occupied while we're hermiting. I understand. Just think of the pile of things you can build over the next decade or six. Never even would have thought of that! What a cute idea. Your post got a gasp from my seven year old! These are amazing. Would be great to put these one on the trees with the others. 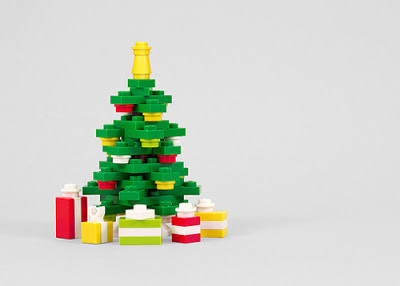 LEGO is A-Mase-Zing! Not so much when you step on it in the middle of the night... but every time other than that it's A-Mase-Zing! This is such a fantastic idea, thank you for sharing! This is awesome! I wanted to find something my son could make to give to my husband as a gift. One of these would be perfect!